A few months ago, local Realtors® Scott Garnett and Alyse Marshall-Auernheimer, and local educators Jen Ramachandran, Keri Treadway, and Elsa Woodaman came together to build an organization that will serve as a conduit for community support of Richmond Public Schools. The organization, called Building a Better RPS, organizes group projects, fundraising events, and sponsorships to support infrastructural and educational improvements for all forty seven of the City of Richmond public schools. He stresses the importance of getting involved with each and every City of Richmond public school. “That’s what this is all about—making the schools better for ALL the kids,” he said. Last month, the board organized “Take a Bite Out of the Budget,” a restaurant week style event, during which more than twenty participating local restaurants donated up to 10 percent of proceeds to Building a Better RPS. Garnett reported that participating restaurant Aloha Café had their best day in sales during the event. “Once we were able to channel everybody’s energies into one focal point, everyone has seemed to come out of the woodwork to get involved,” Garnett said. Local craft breweries Isley, Buskey Cider, Stone, Garden Grove, Triple Crossing, Hardywood, and The Veil also stepped up to get involved. 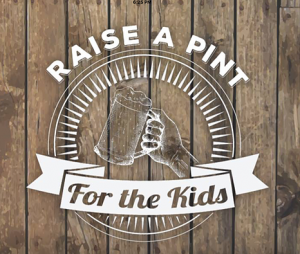 The former five breweries will be donating up to $0.50 to the organization for every pint sold this Saturday, July 16th. The two latter will host their own supportive events on Sunday July 24th and Thursday, August 18th, respectively. The breweries have expressed interest in continually hosting events that will support the efforts of the organization. This month, from July 20th through July 28th, Building a Better RPS is also executing a coordinated series of volunteer service projects at ten Richmond public schools—with plans to complete projects at the remaining 37 schools over the following two to three weeks. In addition to organizing projects and events, the board intends to foster corporate involvement by pitching specific suggestions for ways in which companies can make a positive impact on the local schools (e.g., getting community gardens involved to facilitate hands-on instruction about home growing nutritious foods and finding sponsors to set up science exhibits within the schools). Beginning this fall, the organization intends to promote an ‘adopt a school’ program—allowing any organization to select a specific school to support for the year. The school would reach out to Building a Better RPS, or the heads of the adopted school, to address specific issues at the school they have chosen. “We’re not just going to stop—we want this to become a sustained effort into the future,” Garnett said. “This is going to grow many folds in the next year or two,” he added. Garnett is rallying his fellow Richmond Realtors® to join the cause, noting that this group of professionals tends to have a particular interest in supporting the local schools. “Good schools equate to strong neighborhoods and property values,” he said. For more information on getting involved in the efforts of Building a Better RPS, or to sign up for an upcoming volunteer project, visit buildingrps.com.